Not many people are aware of just how vital bees and other insect pollinators, such as flies, hoverflies and wasps, are to our survival. Bees are particularly critical, pollinating 70 of the around 100 crop species that feed 90% of the world. But bee populations are declining alarmingly across the globe due to habitat loss, parasites, disease, pesticides and climate change. In China, the loss of bees has already led to apple and pear farmers having to resort to painstakingly pollinating individual flowers by hand. To protect bees and other native insect pollinators and provide them with the right food sources to thrive, we have joined top researchers from Western Sydney University and partners including Bayer CropScience, Syngenta Asia-Pacific and Horticulture Innovation Australia to deliver a multi-faceted pollinator research program. Through the pollinator program, research is being conducted across several focus areas including increasing pollen and nectar resources on farms, testing the effects of climate change on flowering plants, bee viruses and understanding the different non-crop food sources available to native pollinators. The Australian pollinator program is being run in parallel with the All India Coordinated Research Program which is being conducted through 26 research centers across India. 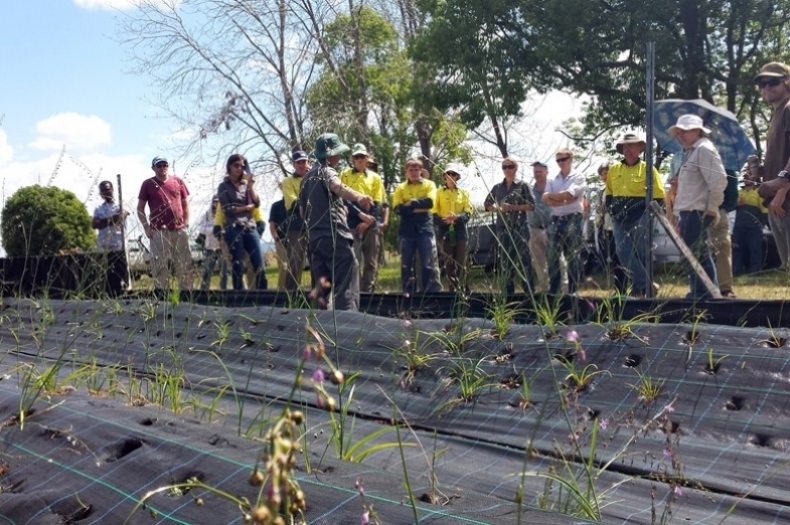 Our Seed Production Area (SPA) at Western Sydney University, bursting with over 100 different species of rare native plants, has become a research hive. Dr Paul Gibson-Roy presenting at our Cumberland Seed Production Area on the grounds of Western Sydney University. “I first became interested in pollinators in the mid-2000s when we started researching them in our wildflower restoration sites in Victoria. There were a lot of beneficial insects which were attracted to the native wildflowers which we believed could benefit nearby farms too. 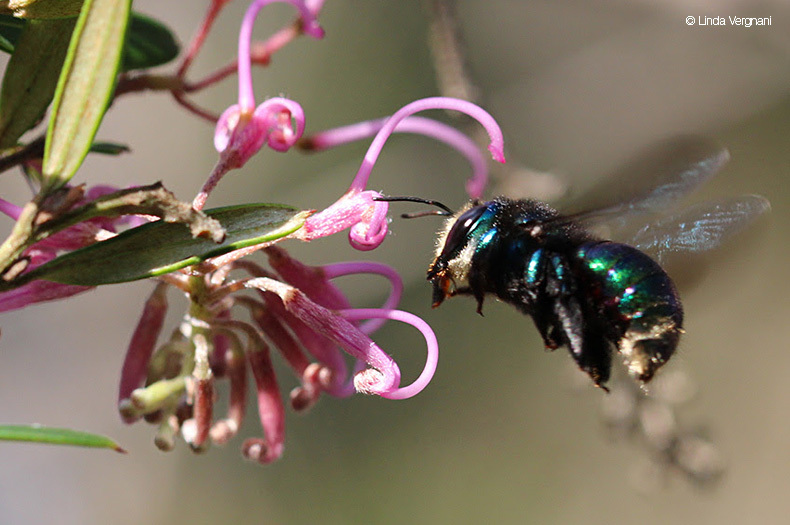 We found that pollinators occurred in much higher numbers in our restoration sites than in the surrounding agricultural landscapes,” says Dr Paul Gibson-Roy, Greening Australia’s Senior Ecologist. From the start, the Cumberland SPA, which was established to provide vital seed for restoration work, appeared to attract the same unusually high number of insects. 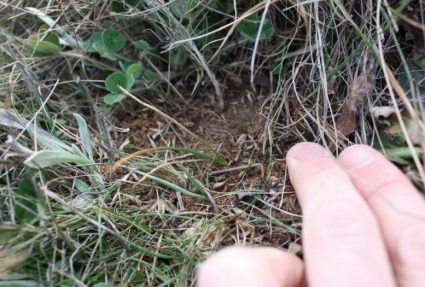 Paul surmised that the same might occur if these native species were returned to farms or roadsides in dense patches, potentially offering multiple benefits to landholders, such as integrated pest management. Lena Schmidt, a PhD student at the University of Western Sydney is conducting preliminary research at the Richmond SPA to help confirm if this is the case. By studying how native pollinators respond to different floral traits including flower size, colours, structures, and the pollen and nectar rewards offered by 72 native ground layer species, Lena is aiming to ascertain which plants will provide the maximum pollination benefits when reintroduced back into the surrounding farmlands. “My research also extends into to how these native species might respond to climate change. I am conducting stress tests on the plants by placing them in glass houses and subjecting them to different climatic conditions to see how this affects the pollen and nectar rewards they offer,” says Lena. 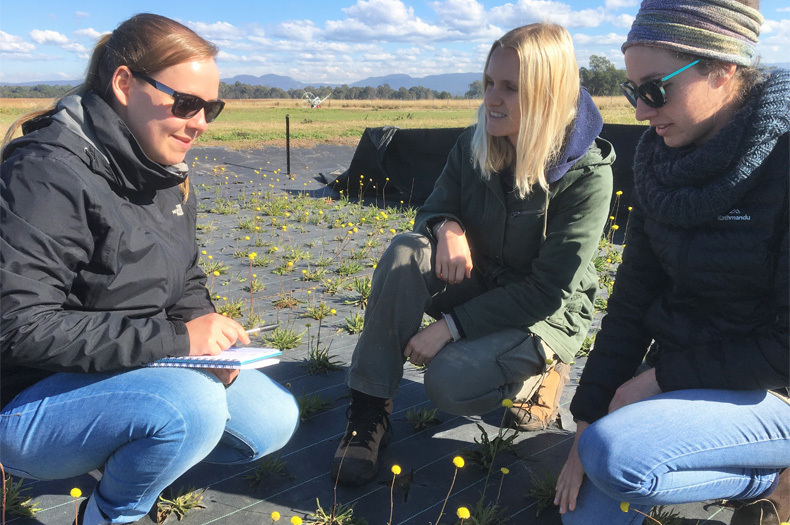 The results of Lena’s research will be used to assemble different, climate resilient native wildflower seed mixes that can be taken back into orchards to support healthy native pollinator populations year round and provide more secure pollination services. Native wildflowers will be reintroduced to orchards in Bilpin and Orange through the program as early as 2020. By incorporating native wildflower patches into these farms, it is hoped that pollination periods will be extended or that more nectar and pollen rewards will be on offer to encourage native pollinating insects to the farms. Lena Schmidt, University of Western Sydney PhD student from Germany discussing her research with local Greening Australia project officers at the Cumberland SPA. “Fundamentally, protecting and restoring vegetation is important. But when we have the resources, partnerships and opportunities to link formal research with our on-ground work, it provides us with a great opportunity to understand if what we are doing is effective, or if not, to change what we are doing. This is what is happening through the pollinator program” says Paul. 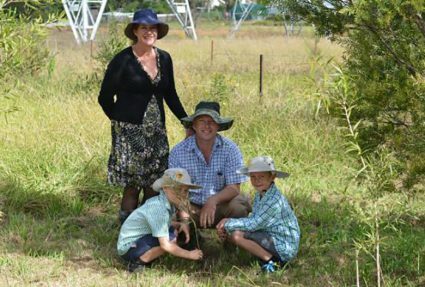 “Reintroducing native vegetation back into our farmlands could be a win-win. A win for our environment in terms of increasing biodiversity and a win for our farmers in that it attracts beneficial insects which can assist with pollination or predation of pest insects, can increase the resilience of our farms to extreme conditions and in some situations help reduce fire risk due to the lower fuel loads some species produce,” concludes Paul. 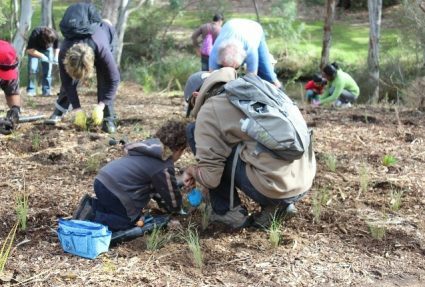 Our research and work to restore the diverse woodlands and grasslands of the Cumberland Plains forms part of our Nature in Cities Program. The pollinator program is supported by Horticulture Innovation Australia through its strategic co-investment Pollination Fund.